So a few months ago I picked up some beautiful blue Welsh Wool from a popular Internet Auction site. £15 lighter I received just over 3m of the stuff. A Very nice blue with golden/green flecks. I wasn’t sure what to make but then decided on another jacket! Apparently ‘Blue’ is in fashion and I’ve never worn blue. Now initially I started drafting a pattern for myself. 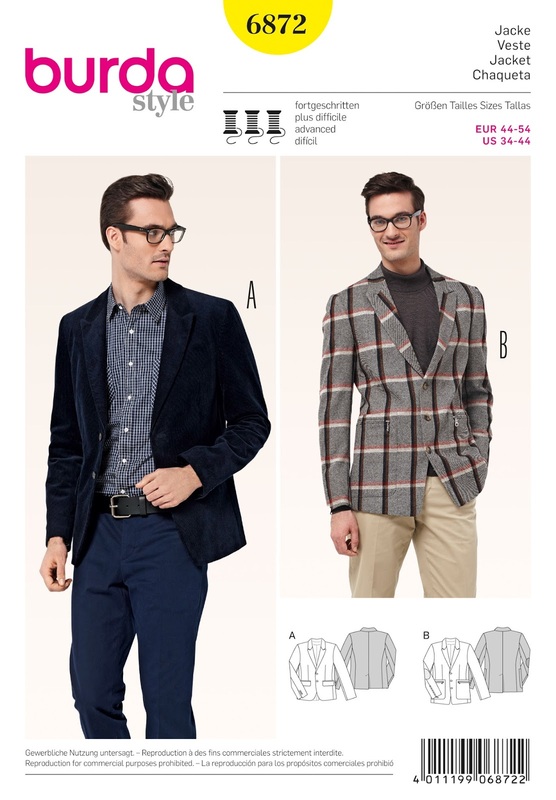 I wanted casual-smart with peaked lapels, then I remembered I had the Burda 6872 pattern. I made this for a friends wedding and I liked the style and shape. 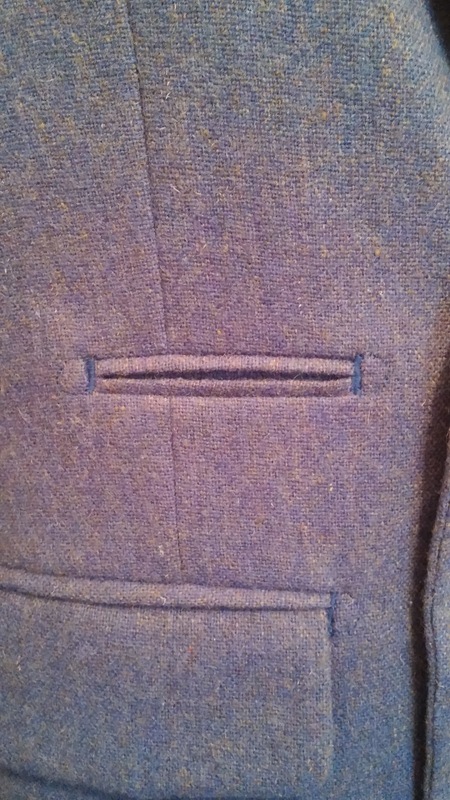 Matt of Sewwhatsnew (winner of last years Great British Sewing Bee) with fused lining and Honk Kong finished seams. Also Curtis over at Pudleston Patchwork made a version in Olive Green for the Minerva Crafts Bloggers Network. So I thought I use the fabric for my version. Now the first problem! 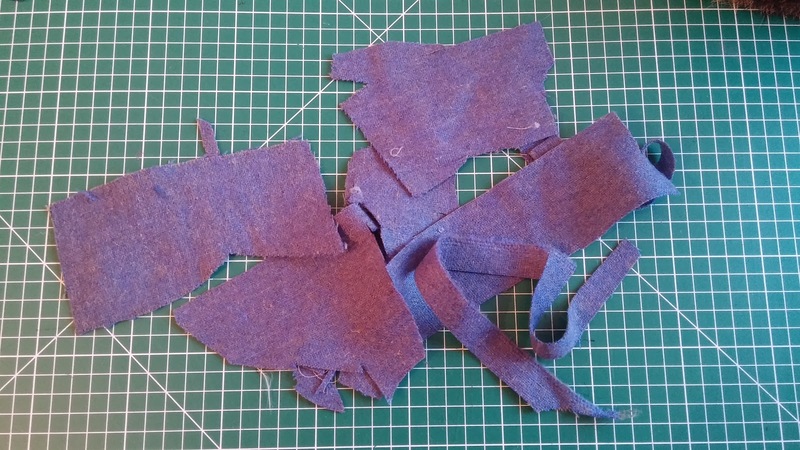 The fabric was listed as vintage Welsh wool and when I started laying out the pattern pieces I realised it was. Normally fabric comes in 114cm (45″) or 150cm (60″) width. This was 90cm (36″) which meant that even having 3m, things were going to be tight! Well this is all I had left! Seriously I had to cut my pieces so close together and waste nothing. Anyway pieces cut (just) is started construction. 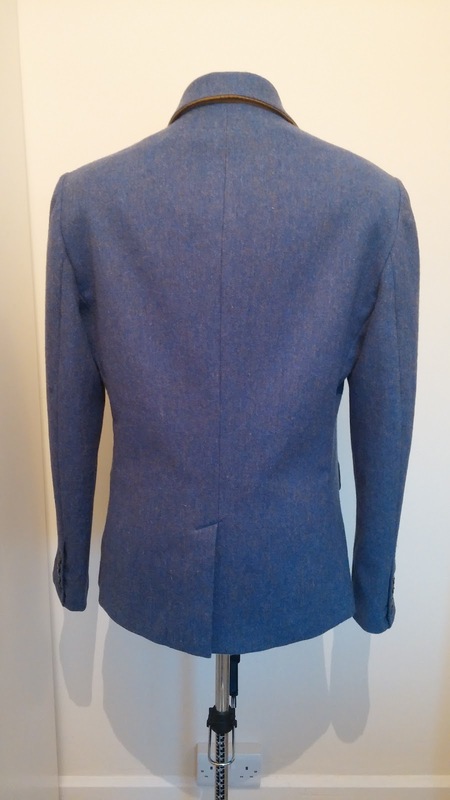 I opted to sew the jacket by hand rather than machine (akin to real tailoring). Why? Well why not; I wasn’t in a rush and I like hand sewing. OK I’ll be honest, I didn’t sew every seam by hand but probably 95%. 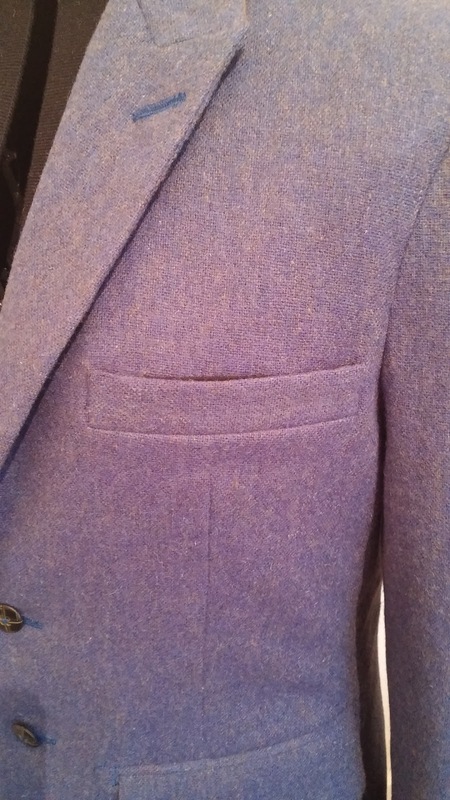 The rest, including the lining were machine sewn. Still it was fun. So what did I do differently? Firstly I added a floating chest piece for the interfacing: A lightweight canvas (as I do with all my jacket makes). 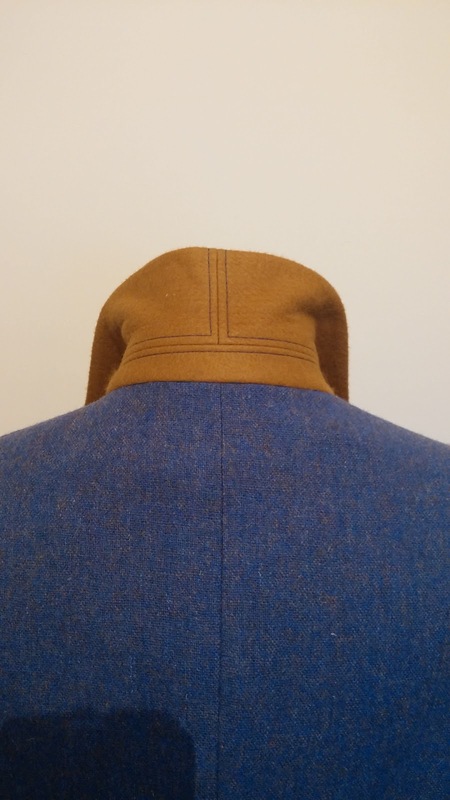 The under-collar is made from a nice golden coloured melton wool to pick out the colour in the blue wool. 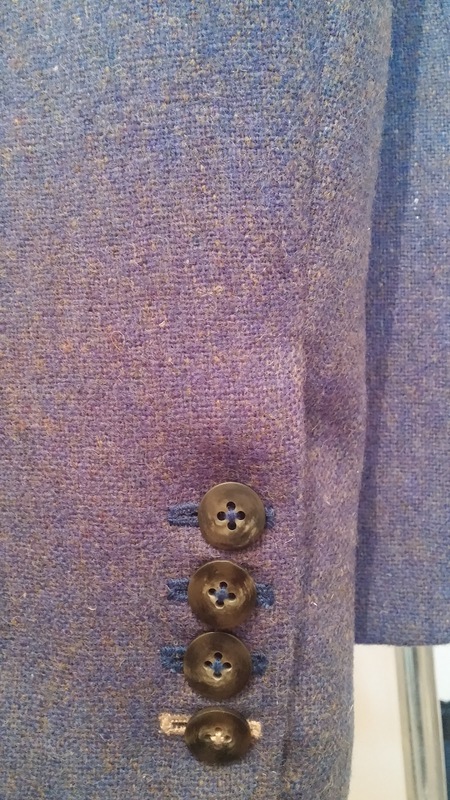 I added a ‘ticket’ pocket above the RH pocket, put a button over inner pocket in the lining and added four buttons per sleeve. I even added a loop behind the lapel to hold your flower stalk! 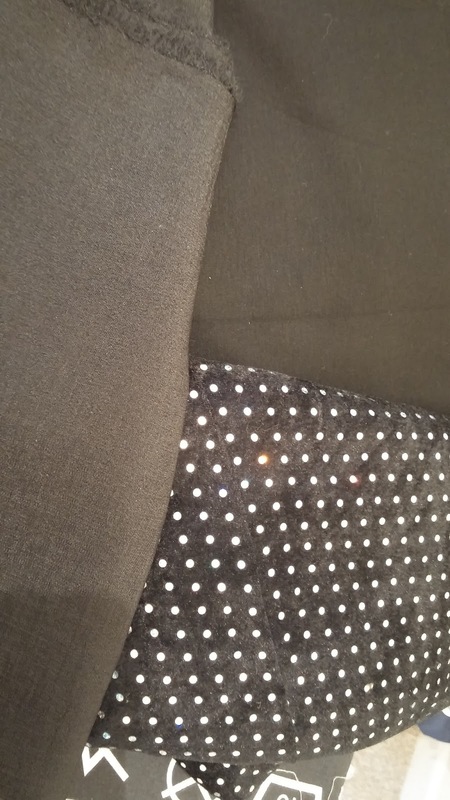 The lining is in gold with black piping. So here we go. 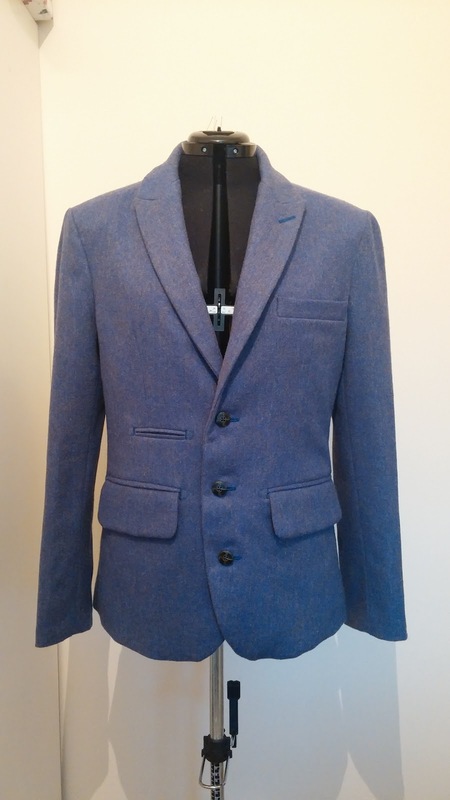 One finished wool jacket! I hope you like? I took a lot of inspiration from the book from Cabrera. 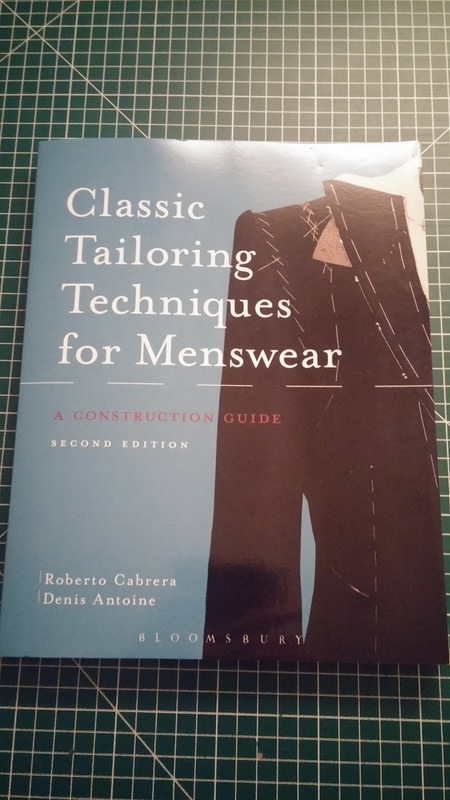 If you are going down the tailoring route then it is a must buy! I made my own shoulder pads from cotton batting and gauze and hand stitched the button holes. 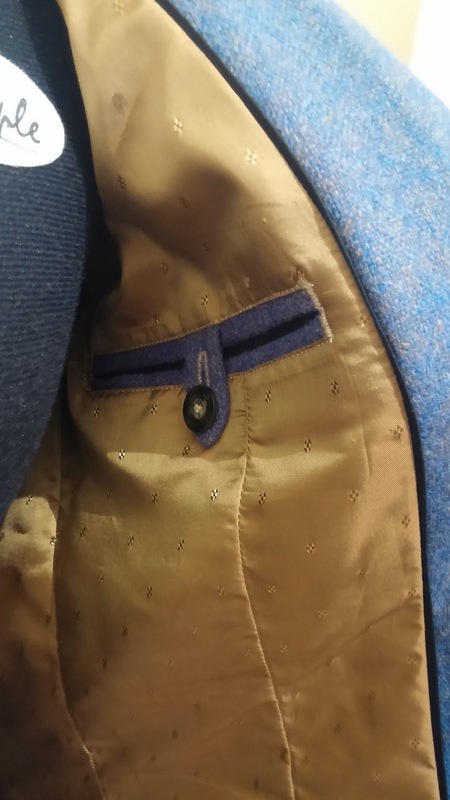 The jacket has given me hours of fun (and occasional frustration!) but I really enjoyed the make. Although I love drafting my own patterns, I really do rate Burda for their style and construction. In other news, I received my fabric bundle from Minerva Crafts this week. I won this for the ‘Star Make’ in Love Sewing magazine a month or so ago. Now I need to decide what to make! Now the weather has turned a little chilly I need to think about a new coat for me and yes, I have some lovely fabric in my stash ready.